Bat Bee & Hornet Removal is a certified pest control services company celebrating over 42 years of loyal service to our community. We provide residential and commercial pest control services at competitive prices. Providing quality assured pest control services by taking your environmental security to the next level has been the hallmark of our success since 1971. As Richmond’s affordable Pest Control Services company we also welcome commercial contract inquiries, including apartment buildings, schools, and medical facilities. 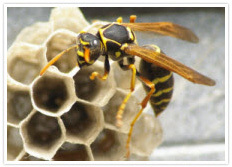 Bat Bee and Hornet Removal includes pest consultation and inspection services to our valuable customers in Richmond, Virginia. Our qualified pest controls technicians will take the time to establish the specific needs of your pest control and tailor your plan accordingly. Our primary goal is customer satisfaction and to help you keep your home or business pest free. With a continued maintenance plan, we can significantly reduce the pests the infiltrate your building. Bat Bee and Hornet Removal insect control is highly effective. Once we have established the needs for your Richmond, Virginia home or business, our technicians apply effective insect control. With the use of our high end products and equipment, the insects that invade your building are easily exterminated and contended with. To prevent future outbreaks, Bat Bee and Hornet Removal technicians apply maintenance sprays to prevent outbreaks. Bat Bee and Hornet Removal doesn’t just control insects, we also offer expert rodent control and wildlife removals to help keep your loved ones safe from pest transmitted diseases and your home and office buildings protected from structural damage from wildlife pests.